Leh-Ladakh is a mecca for travelers, and its Zanskar region the Holy Grail for adventure seekers. Summer adventurists cannot have enough of rafting over the speeding waters and ferocious rapids of the River Zanskar, and winter adventure fanatics cannot limit their pace on the freezing layer of the unnaturally calm waters of the Zanskar. 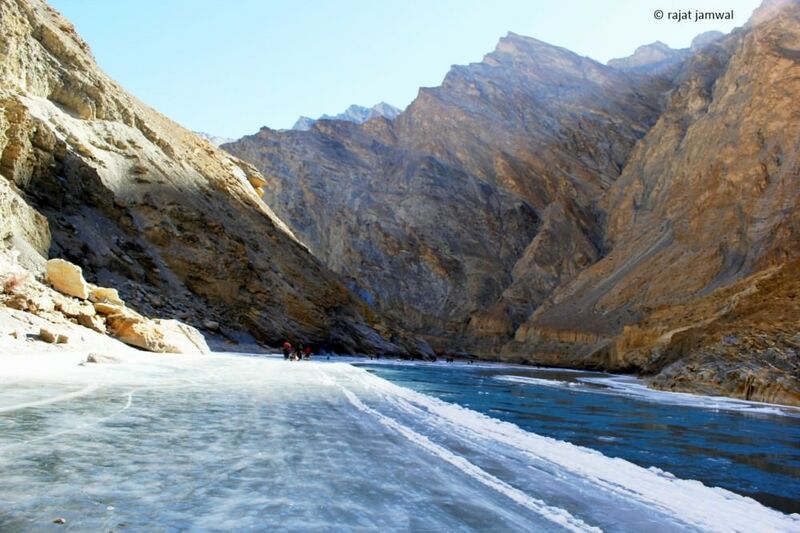 The mystifying Zanskar River freezes into a sheet of ice in winters and remains the only route to access the Zanskar Valley. 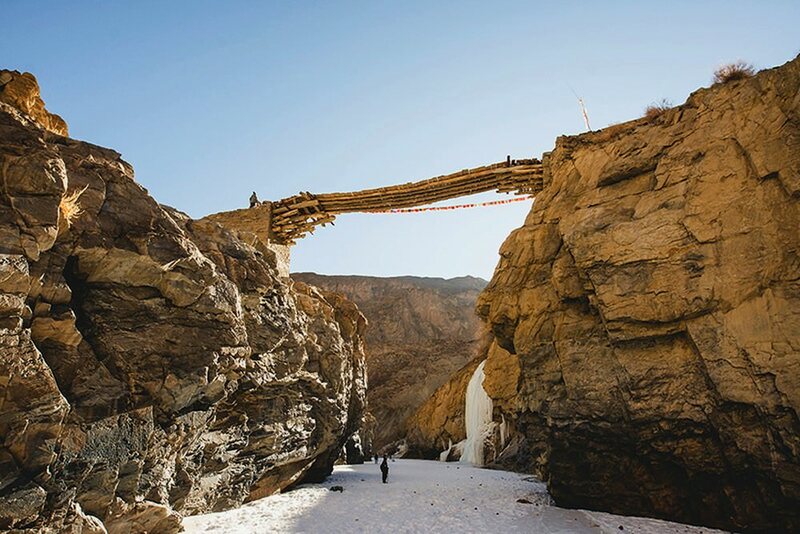 The high rising passes are all snow covered (which otherwise serve as routes to the valley) and locals are left with no other way to reach their homes in the valley than to travel for days on the white chadar (sheet of ice) over the frozen Zanskar. The otherwise unavoidable route for the locals has become charm for adventurists and trekkers globally. 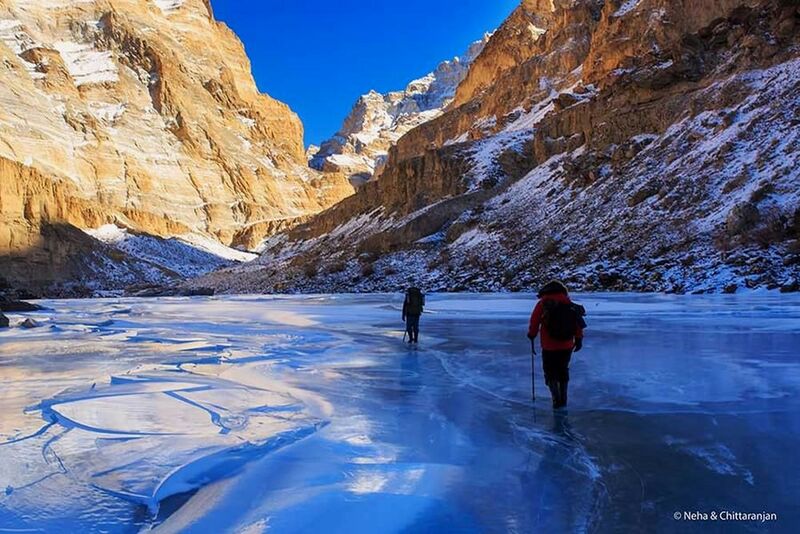 Walking on the chader (frozen Zanskar) has become part of the bucket list of endless adventure driven souls. 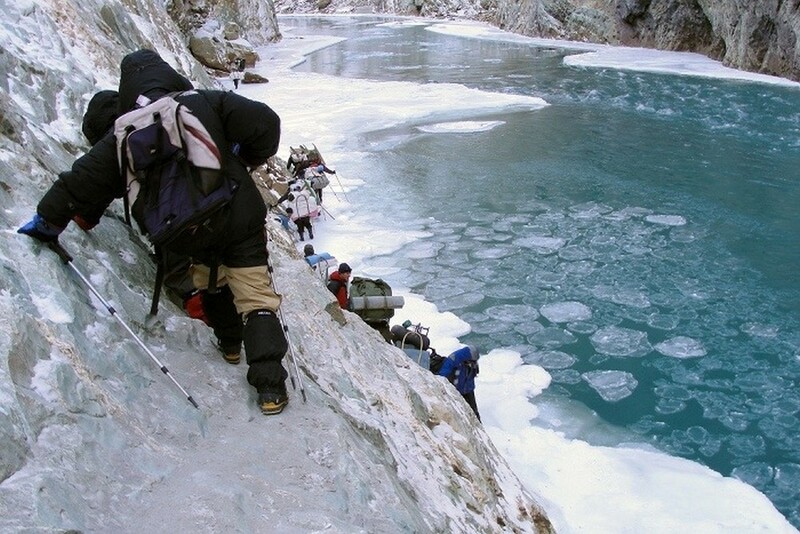 If you’re one of those who wants to walk over the frozen river with bone-chilling cold water gushing only a few inches below your feet – the Chadar Trek is for you. 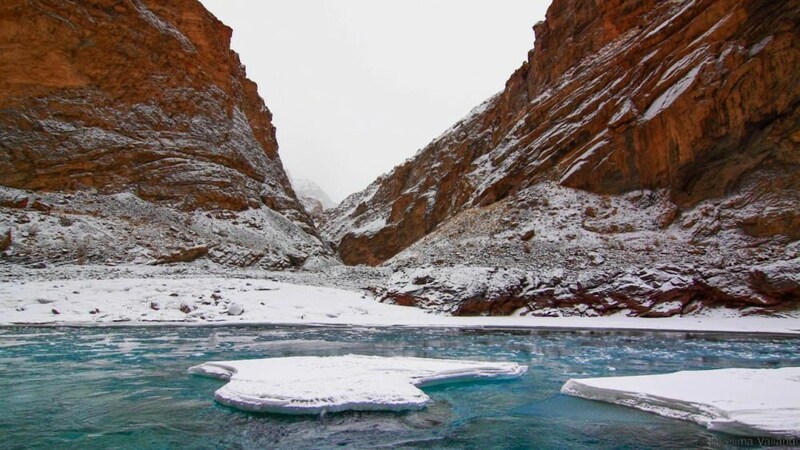 If the idea of walking endlessly with a large backpack on the back and winds in subzero temperature knocking blows on your face sounds gripping – the Chadar Trek is for you. Before you choose to embark on the trek with us, here are a few more reasons to do the Chadar Trek. 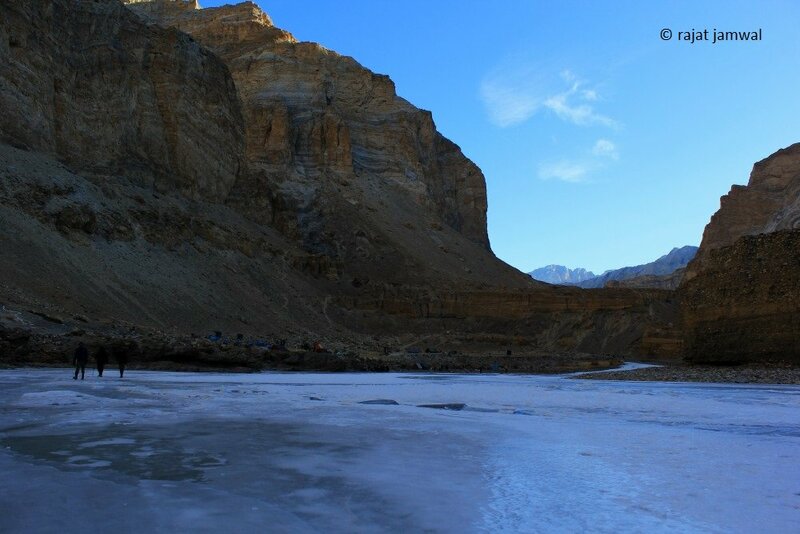 # Chadar Trek on the frozen waters of River Zanskar is the most intimidating, most difficult and also the wildest walk in India. 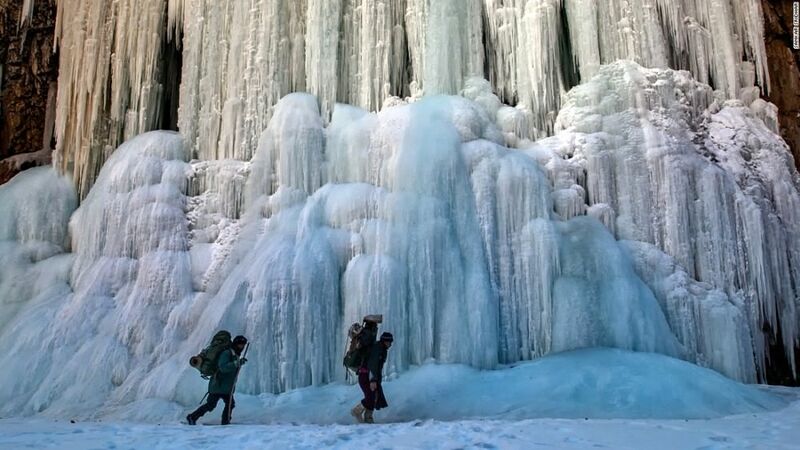 # Walking, climbing and maneuvering on the solid white sheet of ice is not for everyone. Good health, clear mind and ability to adhere to trek leader’s command is a must. # Originally a trade route between Zanskar and Ladakh regions – this is over the 1,000-year-old path. It’s called the ‘Khado Sanglam’ by locals in their dialect. 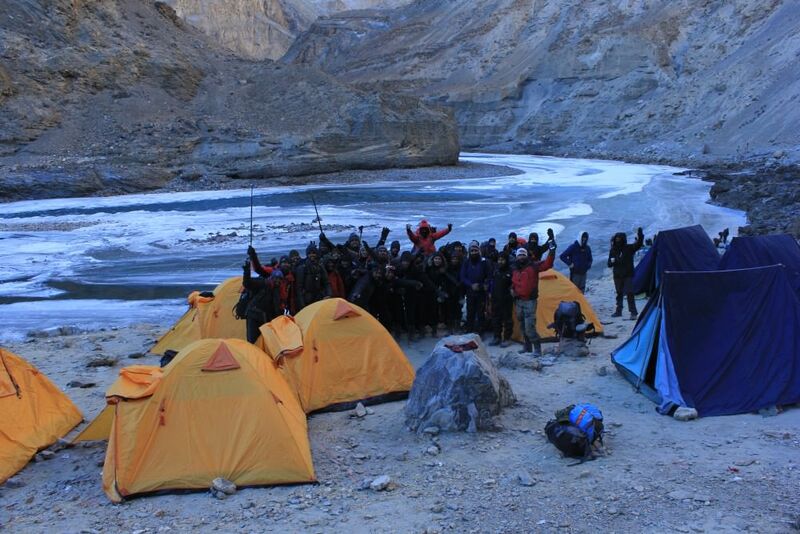 # Chadar Trek is done in the months of January and February. 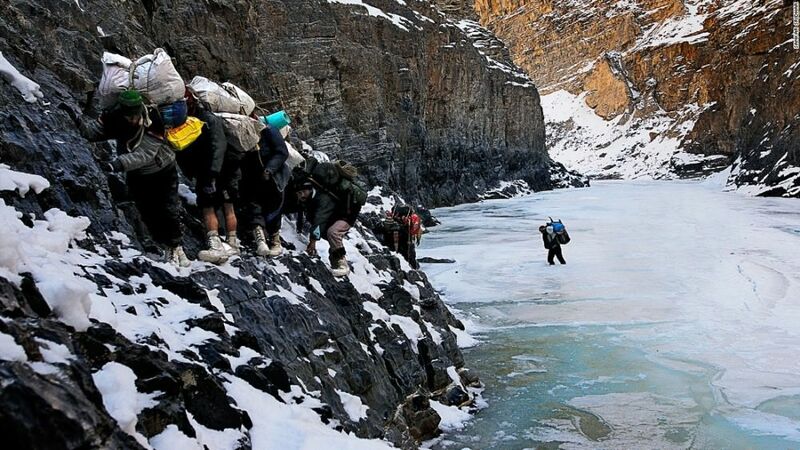 This is when the Zanskar freezes completely to form thick, hard layer of ice people can walk on. 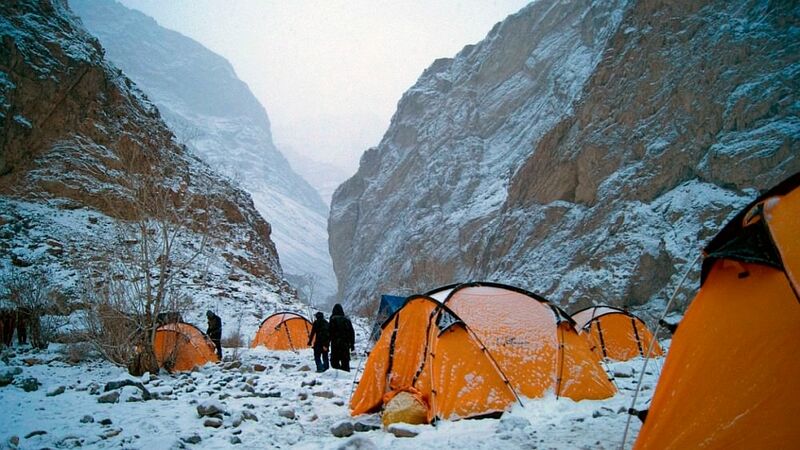 # Chadar Trek is 105 km long and requires a lot of mental, physical and logistical preparation. 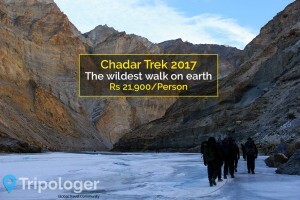 # Trekkers walk about 15 km every day swaying to and fro on an average altitude of 12,000 to 13,000 ft.
# Chadar Terk is all about walking on the frozen river Zanskar within a steep canyon. Trekkers walk on the gradual path (a lot of climbing is not involved). # On the trek, you confront extremely low temperatures (as low as -27 degrees Celsius) and thin air, which make the walk really difficult. # Trek is packed with surprises – slippery sheet of ice, unusual campsites, occasional stays in caves and briskly-changing weather. But this is what makes Chadar Trek the most unique walk in the world. 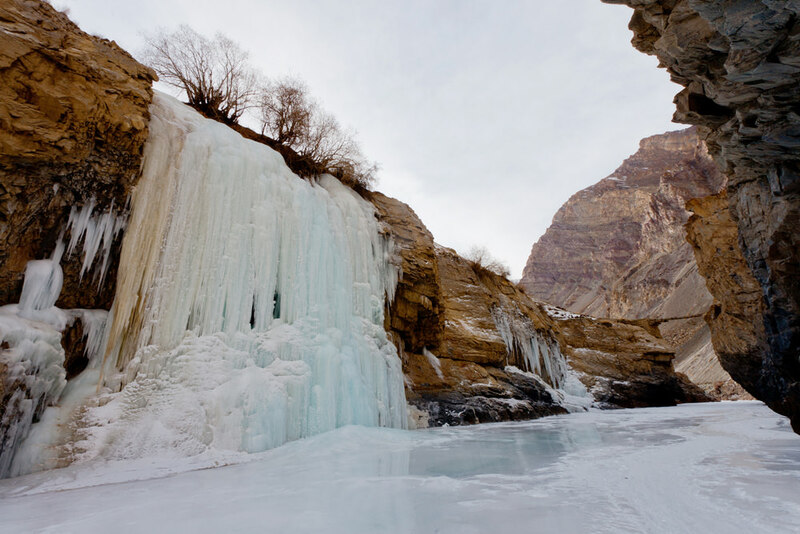 # Frozen river expedition within closed canyon valley offers serene and extremely picturesque locations. If you can find a way to keep the batteries charged in extremely low temperatures, you’re assured to return home with endless memories. 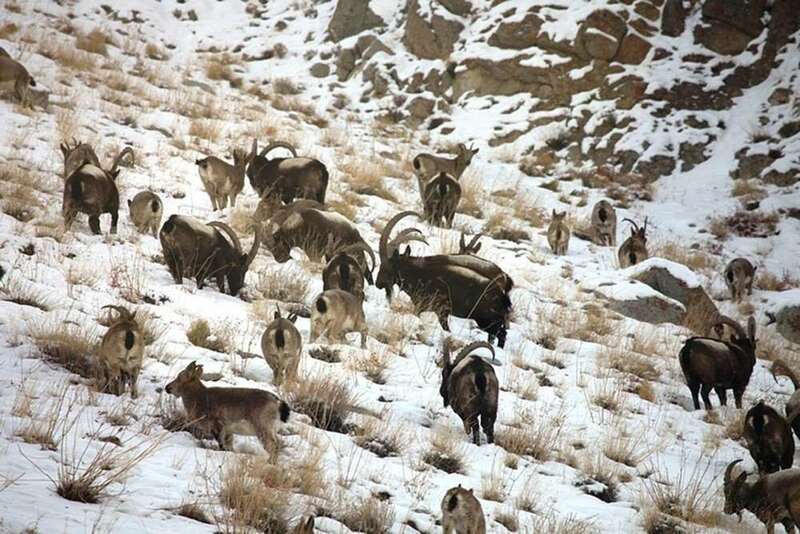 # You might just be lucky to spot an odd snow leopard or other rare wildlife on the trek. # A click in front of the amazing frozen waterfall at Nerak makes for a wonderful profile picture for your Facebook account. # Unforeseen weather can play spoilsport at any time – snowfall can block your way – be prepared to take alternate routes found by your trek leader. 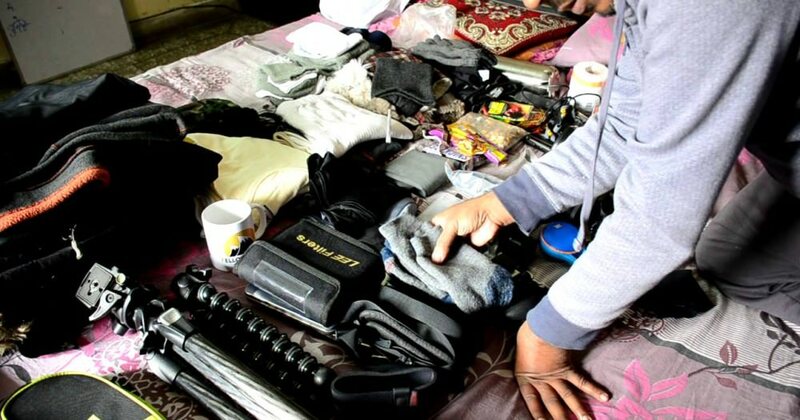 # People returning from Chadar have endless stories to narrate. Be on the incredible trek and make your own tales. # A road is being constructed from Chilling to Padum. Once the road is complete, the trek may lose its charm. Make sure you have checked the bucket list before the trek is lost in the wake of urbanization. What’s your reason to take the frozen highway to the tiny kingdom, do let us know in the comment section below. If you want to be part of Ladakh’s 1000-year-old legacy by walking the Chadar, hit the button to book your place. “All the pathos and irony of leaving one’s youth behind is thus implicit in every joyous moment of travel: one knows that the first joy can never be recovered, and the wise traveler learns not to repeat successes but tries new places all the time.”Paul Fussell.